It?s now no secret that feeling tired can affect moods, motivation and?focus. But it’s?entirely possible for people to remain unaware of these effects when sleep deprivation sets in. Entrepreneurs and busy professionals tend to burn the candle at both ends, which often means regularly cutting back on sleep or subsisting on the bare minimum. Many prominent businesspeople like Donald Trump and Martha Stewart?brag about getting by on as little as four hours a night to stay on top of their empires. The modern?work culture tends to promote the idea that sleeping is time wasted and that as long as people?feel OK, they’re probably getting enough rest. But is how you feel really an accurate gauge of how well rested you are? You may not be as well-rested as you think. A study, described?on the?Neurology Reviews?site?in 2009, aimed to determine performance and perception during sleep deprivation. Researchers tested 23 sleep-deprived people on a series of cognitive tests, quantitative (math) and perceptual (image matching). Then?they asked participants to gauge their performance and confidence. The researchers found on perceptual tasks,?performance declined with sleep deprivation. Participants significantly overestimated their performance and confidence. Performance did not?significantly suffer over time on the quantitative tests, but sleep-deprived people still consistently overestimated their achievement. An earlier study, published in 2004?by University of Pennsylvania School of Medicine researchers, also highlighted this phenomenon. Over 14 days, they tested groups of people who received either four, six or eight hours of sleep on several tasks. They found that cognitive performance continuously declined for the four- and six-hour groups, depending on the amount of?sleep. Even for the six-hour group, the cognitive deficits were equivalent to two nights of complete sleep deprivation. Researchers also found that participants underrated sleepiness and were largely unaware of increasing cognitive impairments. 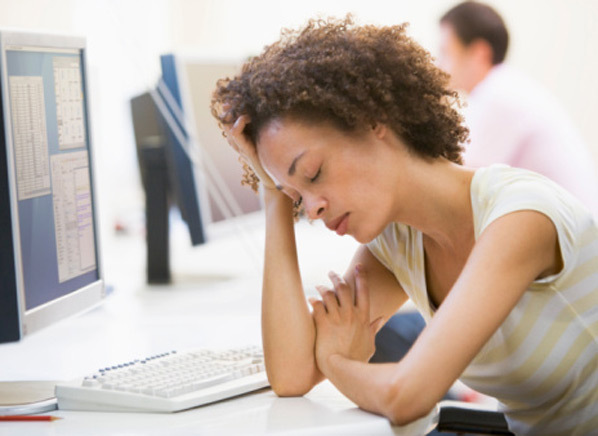 Essentially, the mind and body appear to get used to the new baseline of chronic tiredness. This leads to underestimating potential changes in attention, performance and behaviors. So people who have been scraping by on a few hours of sleep?a night might not be in as good as shape as they would like to believe. While sleep loss doesn?t necessarily affect every aspect of cognition, a detailed report published in?2009 in?the Seminars in Neurology journal explained it has been found to have measurable effects on vigilance and attention, working (short-term) memory, multitasking, flexible thinking, risk assessment, insight and decision-making abilities. Even chronic partial-sleep loss of four to seven hours a night over several nights (not just total sleep deprivation)?is associated with these side effects. So, how much shut-eye do you really need? Recently, the National Sleep Foundation conducted an in-depth review of sleep research to revise its?guidelines. During this analysis, the panel of medical and sleep experts formally reviewed more than 300 articles published in peer-reviewed journals. Based on this research, the foundation developed the following sleep guidelines for adults:?for young adults (18 to 25), seven to nine hours;?for adults (26 to?64), seven to?nine hours;?for older adults (65 and older), seven to eight?hours. The guidelines also specified recommended sleep ranges?for?children: 14 to 17 hours for infants and?eight to 10 hours for teenagers. The new guidelines?suggested that six hours of sleep may be appropriate for some adults, as can as much as 10 to 11 hours depending on individual differences. But the majority of people will fall within the ?recommended? range. Despite those who?still claim to be just fine with sleeping?only a few hours, researchers estimate that this is rarely true and likely to be the case?only for?about 1 percent to 3 percent of the population — people with a genetic mutation that lessens the effects of sleep loss. Those who tend to sleep longer than five hours on the weekend or when they don?t have obligations are probably not part of this lucky bunch and are instead sleep deprived. The National Sleep Foundation?has posted?online a?few questions people can use to assess their sleep needs. These asssess?how productive and happy you feel at different intervals, the presence of health issues or disease risks, current sleep issues, dependency on caffeine during the day and feelings of sleepiness while driving. If you?ve been subsisting on six or fewer hours of sleep, try bumping up your sleep allotment to see if you notice any improvements in daytime performance. If you’re?already getting seven or eight hours a night on average but?not feeling optimal, then nine or 10 hours might be what your body needs. According to the National Sleep Foundation website, those with illnesses like diabetes or even the common cold may also benefit from more sleep. If you’re getting enough hours in bed but still not feeling entirely well rested, chat with a doctor as this could be a sign of a condition like sleep apnea or a medication-related issue.